Garlic, Latin name Allium Sativum, belongs to the onion family and hence is closely related to shallots and leeks. Garlic has been used as a flavouring agent for thousands of years. After onion, garlic is the most widely consumed bulb. It is difficult to trace its country of origin with absolute certainty but its use has been well documented by all the major civilisations, including the Egyptians, Babylonians, Greeks, Romans, and Chinese. Today, it is one of the most common flavours in Indian cuisine, where no curry dish is complete without using garlic paste. Garlic is a strongly aromatic bulb crop that has been cultivated for thousands of years. There are two main types of garlic: hardneck and softneck. The hardnecks also known as topset garlic, produce fewer but larger cloves, while the softnecks produce smaller but numerous cloves. Most of the commercial garlic available in the supermarkets are softneck. In India, garlic is commonly cultivated in Andhra Pradesh, Uttar Pradesh, Madras, and Gujarat. It is cultivated in other parts of the world as well such as China. Garlic can be grown on different types of soil but sandy, silt, and clay loam would be best for commercial production and the crops are almost always planted from cloves or bulbils. Growing garlic most often takes about nine months, from planting in autumn to harvest in the early summer. In warmer areas, it is sometimes acceptable to plant garlic in the spring, though spring planting usually results in far lower harvests of garlic. Roasting garlic is one of the best ways to enjoy it as the process mellows the pungency while releasing the sugars, giving it a rich caramel flavour. Minced garlic has a strong flavour and can be used to make vegetables stand out in a dish. 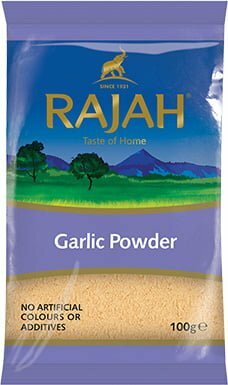 Powdered garlic is less intense and can be used in recipes that are sensitive to water content such as chicken patties. When storing harvested garlic, it should be hung in a sheltered location to dry and harden. In warm and dry regions of India, garlic can be stacked in the field to dry, but the bulbs are covered with leaves to prevent them from getting burnt by the sun. Once the bulbs are dried, you can move them to long-term storage locations. Garlic will usually store well for eight months or more if kept cool and dry. Garlic is one of the oldest plants to be widely used as a medicine and is considered to be an aphrodisiac in most parts of the world. It helps lower cholesterol, boosts our immune system, treats respiratory problems, and increases energy levels. Allicin, a compound found in garlic is known to release antifungal and antibacterial properties when finely chopped, minced, or pureed. 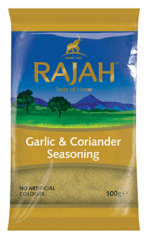 So eating raw garlic grated on top of a curry is a great way to maximize the benefits of allicin.